Kiwi and pear contain plenty of vitamin C without being sharp – unlike oranges. In fact, they have a light and refreshing taste which perfectly complements the yogurt and vanilla. 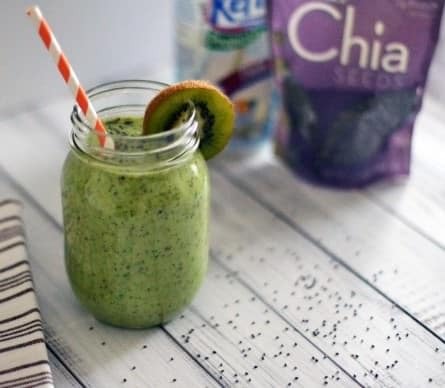 If you are looking for a sweet smoothie, this one ain’t for you but if you like light flavors then you are bound to love this smoothie just as much as I do. You can always make it a little sweeter by adding some stevia or a tablespoon of raw honey although I really like this recipe as it is. 1 scoop Vega Sport Performance Protein – vanilla flavor, available on amazon.com . 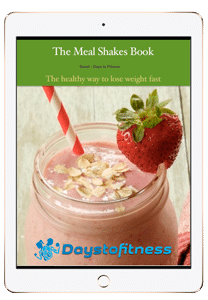 My guide about how to Choose the best protein powder for you. 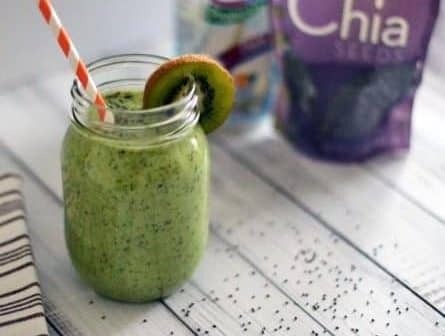 Place all of the ingredients in your blender and then blitz for 30-seconds on the slow setting and then 30-seconds on the high setting until all the ingredients are smooth. Serve immediately – the fruit bruises during the blending process and will turn brown in an hour or so. 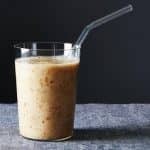 Adding a little lemon juice may stop this but, in my opinion, this smoothie is best consumed immediately after blending. 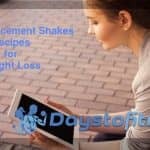 I’ve and recommend a top blender for best results, find what model I use and my recommendations under $200 for the best blenders for smoothies here.